Las Vegas is one of those destinations where you can experience as much or as little as you like, but there is always something to do. Day or night, fast-paced or slow, Las Vegas is a smorgasbord of activity, food, gambling, and entertainment. Here are some suggestions for your Las Vegas itinerary, including budget advice, day trips from Las Vegas, and how to spend 1, 2 or 3 days in the city. This one-day Vegas trip planner is all about getting a taste of Las Vegas. Expect to experience the Last Vegas big hitting highlights! Morning – If your hotel offers breakfast, eat up because you’re going to need energy for the sheer scale of the Strip. If not, dive into Denny’s for some country fried steak and eggs. Make your way to the Strip – the famous 6.8km strip of kitsch and bawdy hotels that have become the symbol of Vegas. Head to the north end of the Strip and explore places like The Venetian, for mini canals and gondola rides. For shopping, visit the Forum Shops at Caesar’s Palace. Afternoon – Grab lunch at Hash House A Go Go at The LINQ casino and hotel – epic portions await and will keep you sated while you try your hand at the slots. Spend the afternoon trying a few different casinos – my favorites are Caesar’s Palace and Wynn. All the casinos offer free drinks for gamblers, but remember, don’t forget to tip your waiter. For more newbie Vegas tips, check out my Las Vegas Beginner’s Guide. 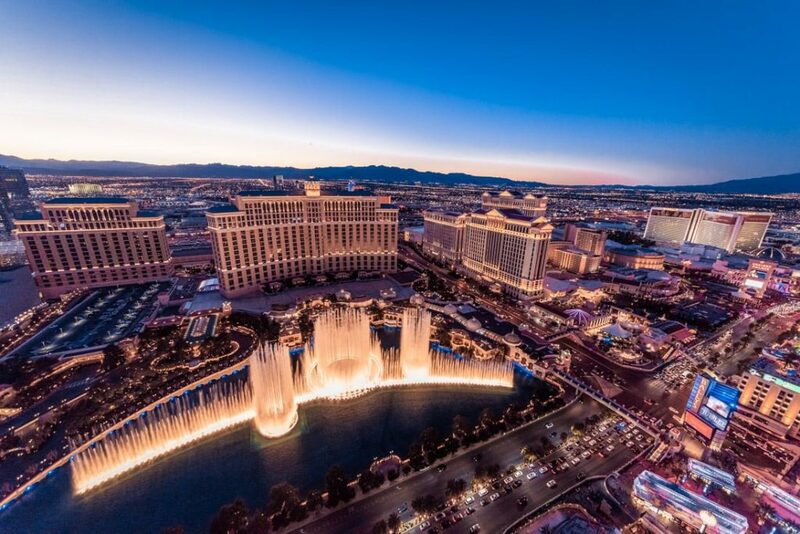 Dusk – As it gets dark, head over to the Bellagio to witness the famous fountains. This Las Vegas landmark gets crowded around 5-10 mins before each show, so grab your place and wait for the magic. Night – You can’t visit Las Vegas for one day without catching one of the amazing stage shows on offer. From the fluid trapeze artistry of the Cirque du Soleil shows, to the musical mastery of tribute acts, and big-name shows like Celine Dion, there is a show for every taste. Visit the discount ticket booths along the Strip to grab a bargain on the day, or book in advance if you have a particular show in mind. Morning – I’m going to assume you have a late start due to a raucous night before. Grab brunch at Hexx Kitchen and Bar at Paris Las Vegas – they have 2-hour bottomless mimosas that make for a very convivial brunch! Afternoon – It’s time to head to downtown Vegas. This area was where the original casinos were located, so it is a good place to see the original vibe of classic Vegas. Before exploring Fremont Street in the evening, pay a visit to the Mob Museum. Housed in a former courthouse, the National Museum of Organized Crime & Law Enforcement explores the dark underworld of the Mob in Las Vegas and beyond. Night – The Fremont Street Experience is one of my favorite areas in Las Vegas. This is the down to earth end of the city, and a Vegas weekend isn’t complete without a visit to this area. This area is home to some of the oldest hotels in Vegas, such as The Golden Gate and The Golden Nugget. These grand old ladies have been adorned with modern-day neon, but still hark back to the heyday of Rat-Pack Vegas. The floors are sticky, but the slots are cheap! Fremont Street has a canopy over the pedestrianised area, a zip line that runs down the street, and a light show by night. With outdoor bars and music stages dotted along the street, Fremont Street is a must-do activity on your Las Vegas itinerary. If you are lucky enough to have 3 days in Las Vegas, here are my suggestions. Morning – There are two options for the morning of your third day in Las Vegas. Option one, take a helicopter flight over the Grand Canyon. The details are in the day trip section below. Option two, stay on the Vegas Strip but heading to the south end. Here you will find the famous ‘Welcome to Las Vegas’ sign so take the obligatory selfie. Be warned, there aren’t any pedestrian crossings near the sign, so be careful accessing it. Expect to dodge lots of limos too! Afternoon – For lunch, dine at Mandalay Bay where you can try the beautiful French fine dining at Fleur by Hubert Keller. Alternatively, try some hearty pub-grub at Rí Rá Irish Pub. I don’t know how wise my next recommendation is if you’ve just eaten a big lunch. If you love roller coasters, there is one in Vegas that you can’t miss. The New York New York roller coaster sweeps out of the hotel and across the Las Vegas skyline. It is one of the most thrilling roller coasters I have ever been on. The views out over Vegas are amazing, although you’ll be too busy screaming to really pay attention. Night – Neon is the color of Las Vegas making The Neon Museum a fascinating place to visit. This museum is a giant neon graveyard where the old casino signs go to die. A night tour of the Neon Museum’s boneyard will enlighten you (pun intended). If you get a chance to stay 4 days in Las Vegas, why not include some day trips too. Hoover dam is a feat of engineering. Built during the Great Depression in the 1930s, the dam crosses the Colorado River on the Arizona-Nevada border. 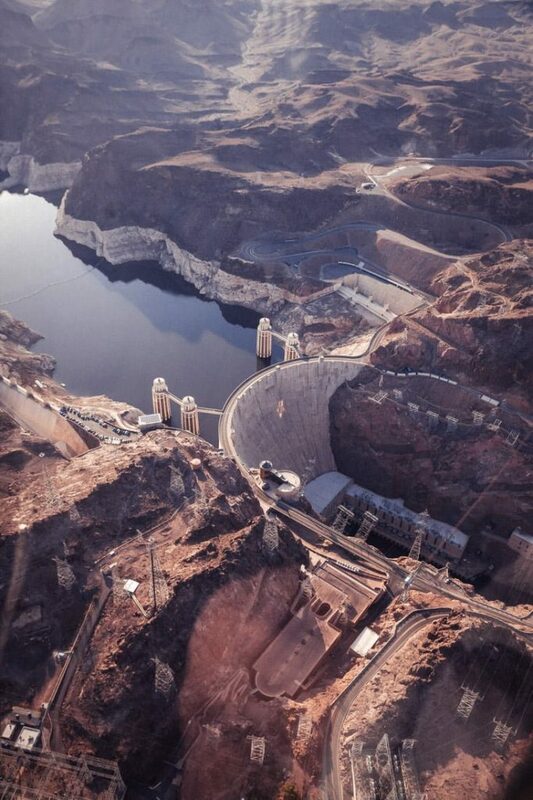 Only 45 minutes from Las Vegas, you can visit the Hoover Dam in half a day. Red Rock Canyon is only 20 mins from Las Vegas by car. If you aren’t planning on exploring more of the surrounding area, the Red Rock Canyon is a great half day trip out of Vegas. 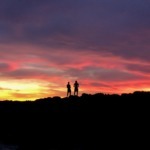 There is a 13-mile scenic drive, a visitor centre, and hiking options to suit all abilities. There are many companies that offer helicopter flights over Grand Canyon. It takes about 45 minutes to reach the Grand Canyon by helicopter, which is a whole lot faster than by bus or car! Most companies will pick you up from your hotel and provide snacks and even champagne on the trip. You can also get tours that land on the canyon floor. This is a pricey half day tour, but the alternative is a 10-hour return bus excursion. Flying over the Grand Canyon is a bucket list activity for sure. Cheap Vegas does exist, and there are actually a lot of discounts and savings to be had if you research in advance. Join Groupon and get the deals for the local Las Vegas area. We got great deals on mini-golf and other activities through this. Ask your hotel for any discounts they offer for shows and attractions onsite. Take advantage of the free drinks at casinos. Play the penny slots so you don’t spend much, and only pay a $1 tip for each drink. Visit the discount ticket booths around Vegas to see what last minute deals can be had. 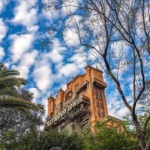 » Budget savers will love our affordable Orlando tips, it is possible! Your Vegas packing list really depends on what season you go to Las Vegas. During the summer it can get up around 45 degrees Celsius, which is quite uncomfortable. During winter, the nights can be chilly. Take layers – all the casinos are air-conditioned and can be cold if you don’t have a cardigan. Sunglasses – whether it is sunny or not, you might well need them for the hangovers. Hydration tablets – bottomless mimosas, enough said! Skechers Memory Foam trainers or Ecco sandals. refillable water bottle – If you visit Las Vegas in the summer, it is very important to keep hydrated. A refillable water bottle is a must in hot climates. Glad rags – Las Vegas is the land of bling, and it is fun to dress up in the evenings to attend a show or drink cocktails. Bring your little black dress/jacket. How much does a trip to Vegas cost? 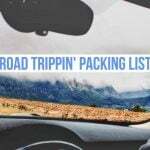 It really depends on your travel style and duration of your trip. If you book in advance and stay in a hostel, use public transport, and eat from supermarkets, you could spend as little as $80-100 per day. On average, we spent $200 per day for a mid-range hotel, meals and fun. At the upper end of the spectrum, there are no limits. Excess is a Las Vegas speciality. How often do the Bellagio fountains run? Monday to Friday: every 30 minutes from 3-8pm, every 15 minutes from 8 pm to midnight. Saturday and holidays: every 30 minutes from midday to 8 pm, every 15 minutes from 8 pm to midnight. Sundays: every 30 minutes from 11 am – 7 pm, every 15 minutes from 7 pm to midnight. For more information visit the Fountains of Bellagio website. I hope this 1, 2 or 3 day Las Vegas itinerary gives you a good jumping off point for your visit to Vegas. 3 – 4 days in Vegas is actually a perfect timeframe to explore the madness and chaos of Vegas along with some day trips. Any longer and you may not survive the pace. Let me know the highlights from your trips to Las Vegas, or what you are most looking forward to in the comments below. Author Hannah Henderson is a travel writer and photographer. Raised in New Zealand, she now lives France. An avid foodie and photographer, Hannah’s travels usually involve large doses of art, culture, and people-watching from cafés.